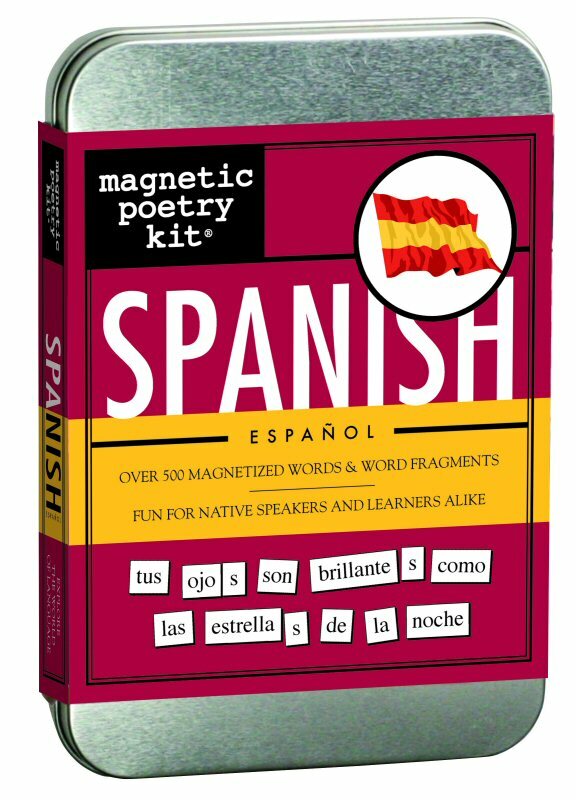 Over 500 magnetized words and word fragments in Spanish. 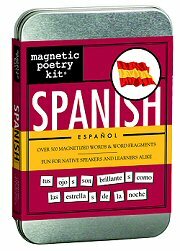 Spanish language kit developed by bilingual fans of Magnetic Poetry, comes with a mini-translation guide. Muy bueno! Fun for native speakers and language learners alike. Tile height is 1cm. Package size is 15cm (L) x 12cm (W) x 3cm (H).